Raising children of good character may seem like a no brainer, but in practice, it can actually be quite challenging. Parents today compete with distractions from social media, their children's peers, teachers and other media sources. Making a few character building activities part of your regular routine can help teach children essential skills that will help them interact with others successfully. These character development activities work equally well in a family or school setting. This can help children see what their strengths are and build self-esteem. According to Kids Health, children who understand their "strengths and weaknesses and feel good about themselves and seem to have an easier time handling conflicts and resisting negative pressures." Character building games like this one can help. Have everyone in the group sit in a circle. For smaller groups, pass out the same number of balloons to each person as the total number in the group minus one. So, if there are six people in the group, each person gets five balloons (one for each person but self). For larger groups of 10 or more, pass out two balloons to each person and ask group members to pick one person of their choice and one person they don't know well. As the leader, you should also take balloons and choose kids you think might not be chosen as readily as others. Instruct group members to blow up a balloon with a particular person is mind, tie it and add a ribbon. They should then write the person's name and a positive trait of that person on the balloon with the sharpie. Repeat the process with subsequent balloons. Once everyone has finished blowing up and writing on their balloons, have group members take the balloon to the person that balloon is for. Each person should have several balloons with positive sayings on them. Teaching children the concept of respecting others can be a vital skill when they are adults. Respect can translate into the workplace or the community. Imagine a worker who does not respect her boss when he asks her to complete a task. She probably won't have her job for very long. Now, you can probably see why this skill is an essential character trait you'll want your child to develop. For this activity, you need two volunteers. (Alternatively, you can do this activity with your two children at home.) If the group has more than two children, the others can observe. Instruct your volunteers to act out two scenarios. In the first scenario, two friends are talking on the bus. They are being very rude to each other (saying unkind things, interrupting each other, pushing, etc.). Pause after this skit and ask the kids what the two were doing that wasn't respectful. Allow and facilitate discussion. Have the same two volunteers act out the same scene, but tell them to be respectful to each other and not do any of the things that weren't respectful. Tell them to be kind, not interrupt one another, not push, etc. Afterwards, continue a discussion on the differences between the two scenarios. Seeing behaviors acted out makes it clear to children what behaviors are unacceptable. Good citizenship involves many different things, from helping others to caring for those we interact with and showing a personal interest in them. In a Psychology Today article by Marilyn Price-Mitchell, PhD, she notes that when children develop good citizenship skills, they make a "greater mark on the world." Gather your children or class, and start a discussion on heroes. Ask the kids to name traits of a good hero. Guide them to words such as, helpful, kind, and brave. Now, ask them to name some heroes they know both from movies or television and from real life. Kids may come up with superheroes as well as civil servants such as police officers and fire fighters. Encourage them to look more deeply at other people who might not appear to be heroes at first glance but do heroic acts, such as the neighbor who mowed their lawn when their father had surgery or the parent who gives up sleep to get up early to take them to a soccer game. For the second part of the activity, ask the students to draw a picture of themselves but to turn themselves into a superhero with all the traits a hero has. End with a discussion on how they can be good citizens by using some of these positive traits everyday. Suggest scenarios like helping feed the cat when Mom is tired after a long day or clearing the dinner dishes without being asked. The US Department of Health and Human Services offers some building blocks that children can be taught to help them learn to deal with the inevitable conflicts they'll experience throughout life. The skills include staying calm, listening to the other person and getting ideas to solve the problem. Not only will you want to discuss these, but also you'll want to model them in your behavior. Click to print this conflict ladder coloring page. In this activity, you're going to use the concept of a ladder to teach children how to solve conflicts with others. 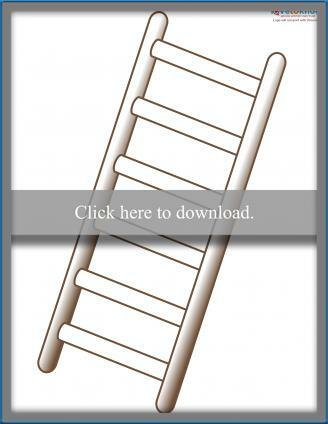 Provide each child with a drawing of a ladder that has six rungs. As you go through each rung, the children will color it in with the color you state and this will help them remember the concept to resolve conflict. 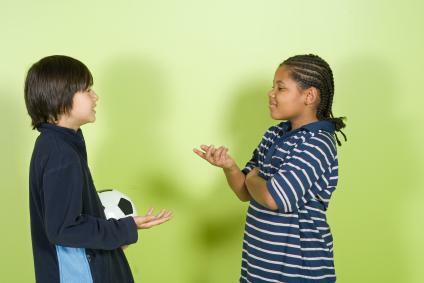 Tell children they must climb the rungs in order, because if they skip one they might slip and fall back into conflict. Blue: The color blue stands for calm. Take some deep breaths to overcome your anger and stay calm when you have a conflict with someone else. Red: The color red stands for stop. Stop and take a minute to listen to what the other person is saying. Repeat what they've said back to them to make sure you really understand the problem. Yellow: The color yellow stands for caution. Proceed carefully and use "I" statements so you don't sound like you are accusing the other person. For example, instead of saying, "You're mean!" say, "I feel like I'm being treated unfairly." Put the focus on you and or your feelings. Red: Use red again because you need to remember to stop and listen after you've made your "I" statement. Let the other person respond. Some conflicts are due to misunderstandings. For example, your friend might say, "I'm sorry. I didn't mean to hurt your feelings. This is what I meant." Green: Green stands for "go!" Go, and get other people to help you solve the problem. Gathering ideas from others usually results in a resolution of the problem. Blue: Blue again to remind you to stay calm, even if the resolution isn't what you wanted or you are unable to solve the conflict. Common word games and activities can easily be adapted to include these character development traits and topics. Start with these examples then create your own character building twist on a classic game. Play Guess Who by describing the traits of a person in a common civil servant job, such as a police officer, and have kids guess who you're talking about. Set up a basic team-building exercise by challenging small groups of kids to get from one location to another using only a few materials like hula hoops. Discuss the different topics/traits they displayed while working together. Play strengths I Spy by having kids take turns naming off all the strengths of one person in the room while others try to guess who the mystery person is. 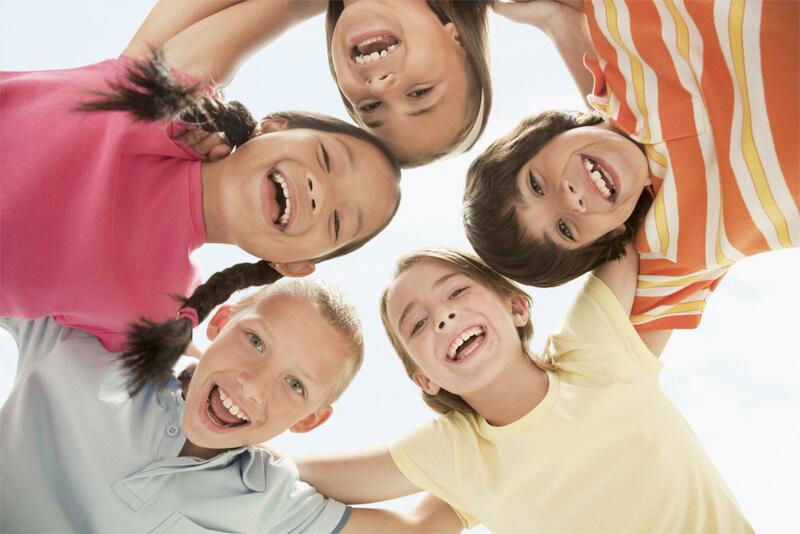 These activities will get you started in teaching children character values. However, keep in mind that learning good character is a lifelong process, especially learning how to deal with issues like conflict management and sticking to your principles in sticky situations. Start with the activities and continue to reinforce the concepts on a day-to-day basis and eventually you'll see natural character development occur.